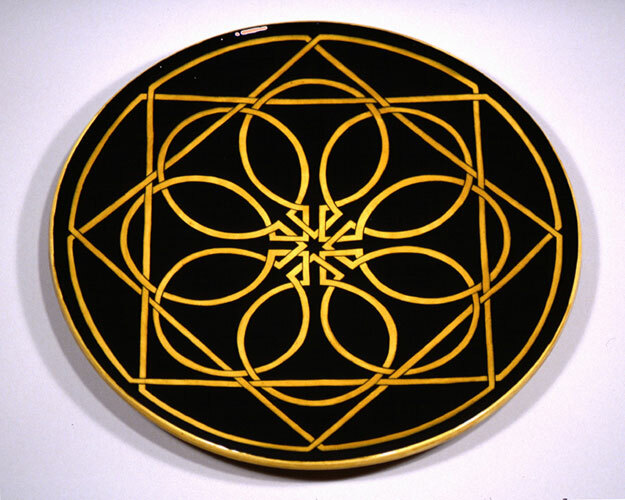 This pattern uses the famous Solomon's seal, which is the eight pointed star made of two squares that interlock at a 45-degree angle. According to legend, this was the symbol on King Solomon's ring. Within the squares are two sets of rotating circular crosses, an idea I borrowed from the Star of David pattern.